The Arabian Horse Foundation has announced the appointment of Scott Benjamin, internationally known Arabian horse judge, show manager, breeder, author and clinician as the Foundation’s first Ambassador. With a lifetime of animal industry experience, Benjamin has been actively involved with the Arabian breed for over 30 years. He earned a Bachelor’s Degree in Animal Science from the Michigan State University, specializing in Equine Management and Animal Breeding/Genetics. He has since been involved with Arabian events in the U.S., Canada, the Middle East, Australia, South America, Africa and most of Europe as director, judge, manager, trainer, steward, clinician, coach, and speaker. He has also authored articles on genetics and genetic disorders. In the January 2010 issue of Arabian Horse World magazine, he and Beth Minnich, chair of the AHA Task Force on Genetic Diseases, co-authored an article on Lavender Foal Syndrome (LFS) and Cerebellar Abiotrophy (CA) and the importance of the Arabian horse community being proactive in testing, disclosure and making informed breeding decisions. Benjamin’s interest in genetics and the financial support the Foundation has given Cornell University and UC Davis for research into LFS and CA, has forged a working relationship between him and the Foundation. Minnich also chairs the Foundation’s Equine Research Advisory Panel. Both she and Benjamin have worked cooperatively on other projects involving genetic disorders. 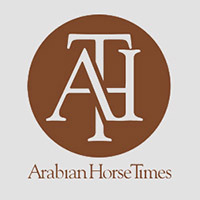 Benjamin, a judge for the recent Scottsdale Arabian and Half-Arabian Show, was the keynote speaker at the 2009 Arabian Horse Association annual convention. He is also a member of the AHA Market Development and Promotion Committee. He is director of Benjamin Equine, an Equine Consultancy based in Calgary, Alberta, Canada. In addition to his professional and judging responsibilities, he currently serves on the organizing committees for the Arabian Breeders World Cup in Las Vegas as well as for Polish Arabian Horse Days in Poland. 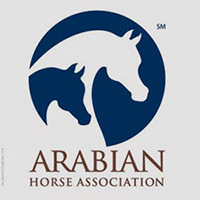 The Arabian Horse Foundation is the philanthropic arm of AHA and offers donors the opportunity to give in three categories of support: Youth Scholarships, Equine Research, and Rescue and Rehoming. 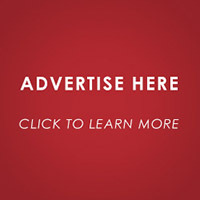 The Foundation is a charitable foundation and as such, gifts are tax deductible. In the last two years, the Foundation has given over $60,000 in funding to the three categories of support. Other members of the Foundation board are Jim Cada, Lollie Ames, Nancy Harvey, C.A. Butler, and Frank Galovic. At the AHA convention, the Foundation garnered national and international attention with the announcement of the Patrick Swayze and Lisa Niemi Scholarship for youth aspiring to a career in the performing arts.